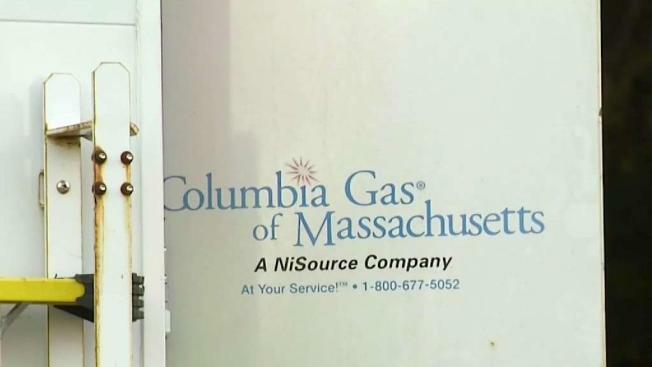 Residents affected by the gas fires and explosions in Merrimack Valley will receive hot Thanksgiving meals from Columbia Gas. A family in Lawrence, Massachusetts, is still waiting for the heat to come back after the gas fires and explosions in Merrimack Valley, but it is grateful that the utility behind the incident will be providing Thanksgiving dinner. Carolyn Lefebvre and her daughter, Rhonda, live right next door to one of the homes that exploded that dreadful September day. "It was sad," said Carolyn Lefebvre. "And it's something that I'll never forget for the rest of my life." In the weeks that followed, there was no hot water, no heat and no cooking. "It actually teaches everybody, when we do get our heat on, to appreciate everything now," said Rhonda Lefebvre. "To appreciate the gas." They now have hot water and an electric stove, but still no heat. A couple of small electric heaters help, but it gets down to below 60 degrees in the middle of the night. But they are taking comfort in that the stress of Thanksgiving is being eased. "We're getting a free Thanksgiving meal from Columbia Gas, which I'm thankful for, you know, but I just want some heat," said Carolyn Lefebvre. Columbia Gas will provide 20,000 Thanksgiving meals for everyone impacted by the gas explosions and fires. People can either bring meals home or join other families at several designated community-gathering spots. "It's a small token of our appreciation to our customers for their patience and understanding," said Columbia Gas spokesman Dean Lieberman. "For all the ups and downs of this recovery process." The food is nice, but the gas would be better, said the Lefebvres, but they are grateful for the free meal. "We're going to bring it home," said Rhonda Lefebvre. "And I got my kids all coming over, we're going to have Thanksgiving. Hopefully the gas is on by then, and it'll be warm." Customers who would like to receive meals will need to reserve them, either for pick-up or a sit-down meal, at ColumbiaGasMA.com/Thanksgiving or by calling 877-399-0506. Reservations can be made until Nov. 16.